Email notifications are a big part of the power behind using a registration system such as GoSignMeUp; students receive confirmation emails when they sign up, reminder emails as the course date approaches, and also a host of other communications the administrators might send out about course work, class cancellations, you name it. These emails are often time sensitive and important – so how come they can end up in a Spam filter or the Junk folder? With so much traffic now on the internet, and much of it from unscrupulous marketers or scammers, many systems now employ automated systems to identify and sort this ever-increasing deluge of email. 10-20% of emails getting lost in cyberspace is tragically the norm, mostly due to overzealous filters. Here are some rules for creating a successful email that goes in to your recipients in-box, and not somewhere else! If your contact list is riddled with dead emails, you are just asking for trouble. 6 month rule – clean out old/inactive accounts and remove inactive contacts. 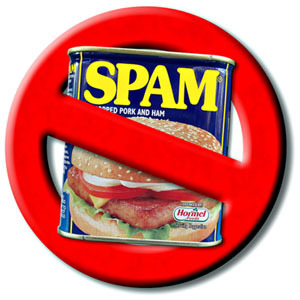 Bounce-backs and undeliverable email could trigger you as a spammer. Avoiding purchased email lists is generally not a problem for GoSignMeUp users, as students sign-up for courses using their own email addresses. SpamTraps are email addresses that are strategically placed on web sites for scamming bots to find and use, which triggers a filter. The problem is if one of your students was on a CC list with a spamtrap email, they too could trigger the spam filter. An unsubscribe option is also a must-have for promotional emails to gain the stamp of approval; Simply provide an “unsubscribe’ link in the footer hyperlinked to an admin email address. While you are at it, include the physical address of your institution. These two items alone will markedly improve the deliverability of your email! Phishing is a type of spam to try and collect usernames, passwords, and credit card details (and sometimes, indirectly, money), often for malicious reasons, by masquerading as a trustworthy entity in an electronic communication. These spam emails are a big problem because they masquerade as legitimate emails, which has made spam filters really aggressive. So you need to make sure your emails don’t share traits with this or other types of spam. While it might be true, a subject line such as “Once in a lifetime opportunity!” probably will just get tossed in to the spam folder! Keep your subject line short and concise and avoid repeating it in the body copy. Don’t use the word ‘test’ in the subject line – use ‘exam’ or ‘examination’. Here is a list of common trigger words. Another sorted by topic. Sending emails with attachments is normal, but can also trigger a boot out of the in-box. Consider using a link instead. Push your document up to Google Docs and get a shareable link, and put that in the email body instead of an attachment. Also use full links – if you use a link-shortening service like TinyURL or Bitly your email will immediately become more ‘suspicious’. Keep attachments as small as possible if you must include them at all. Click here for a help guide on how to convert your documents in to a link using either Google Drive or the GoSignMeUp Document Upload feature. The problem of sending bulk emails directly from GoSignMeUp is that it can flag your web site’s domain (i.e. yoursite.gosignmeup.com) as a spammer and get it black listed! It is a far better practice to limit your GoSignMeUp site to the automated course confirmation emails and such and use an external site to handle promotional emails. Third party, high-volume email senders such as MailChimp will ‘trickle’ send email campaigns slowly, over a longer period of time, to avoid the ‘one big list’ issues. We strongly suggest using MailChimp for large email blasts when possible. For a step-by-step guide on how to pull email addresses from GoSignMeUp for use in Mail Chimp, click here. GoSignMeUp’s automatic email confirmations and reminders keep everyone involved up-to-date. 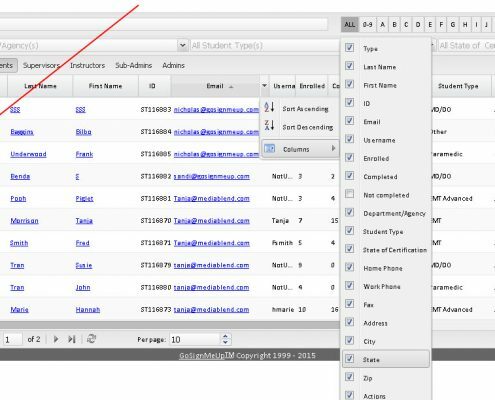 Teachers and administrators can easily email individuals or create custom lists of course attendees, teachers and admins. While the landscape of electronic communication is forever changing, you can do your part to ensure your email communications from GoSignMeUp reach their destination! If you have any questions about your GoSignMeUp system, please visit www.GoSignMeUp.com, call 888-286-4826 or email, info@GoSignMeUp.com.